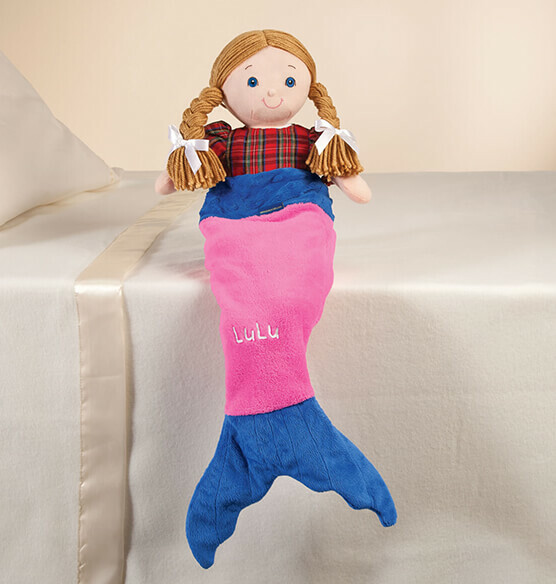 Have fun dressing up dolls into lovely undersea creatures with this personalized Blankie Tails™; Pink 18-Inch Doll Mermaid Tail. Designed for American Girl and similar dolls, this pink and blue mermaid tail blanket is perfect for snuggling. 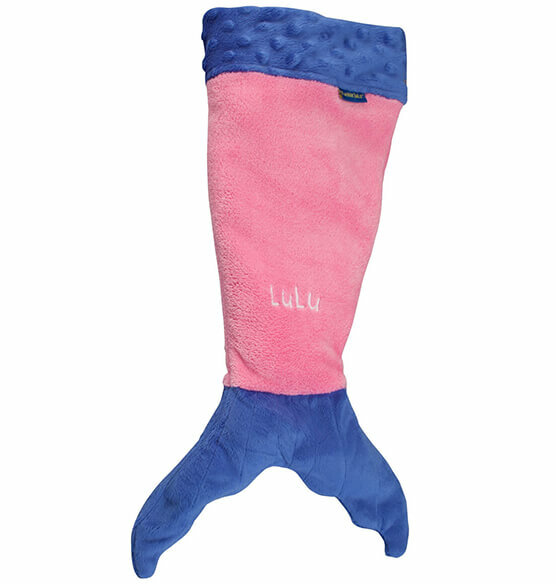 This pint-sized cover also matches our larger pink mermaid tail for kids. Customize with the first name of the doll or a child. Cute , My granddaughter will love it for her doll. Believe my granddaughter will love it for her doll as she has one for herself. Hope it fits the doll.